Andre Agassi senses a changing of the guard in tennis is coming. But the four-time champion doesn't see it coming at Melbourne Park this Australian Open. This time last year, Agassi was in Melbourne coaching Novak Djokovic during the Serb's mystifying form slump. After parting ways with Djokovic, the American has returned in 2019 hoping to help Bulgarian superstar Grigor Dimitrov break his grand slam duck. And the humble former world No.1 was happy enough to swallow his pride and predict Djokovic will add a record seventh Open title to his collection when asked who would reign in 2019. "Novak and Serena. I don't think it's brain surgery to figure out the favourites," Agassi said at a Q & A promo in Melbourne. "But with that being said, things can happen. It's a one-on-one sport so that prediction could go out the window this early on. "It's really about who's in the best form and Serena is hungry to win. Novak's in great form. Somebody is going to have to stop them. There is a sense and a feeling amongst players that the time is changing, a new guard is coming in and that gives a lot of hope." Hope that someone - possibly even an Australian like Alex de Minaur or Nick Kyrgios - will break the stranglehold that Djokovic, Roger Federer and Rafael Nadal have on men's tennis. The heavyweight trio have won a staggering 51 grand slam crowns between them, including 12 of the past 13 Australian Open titles. 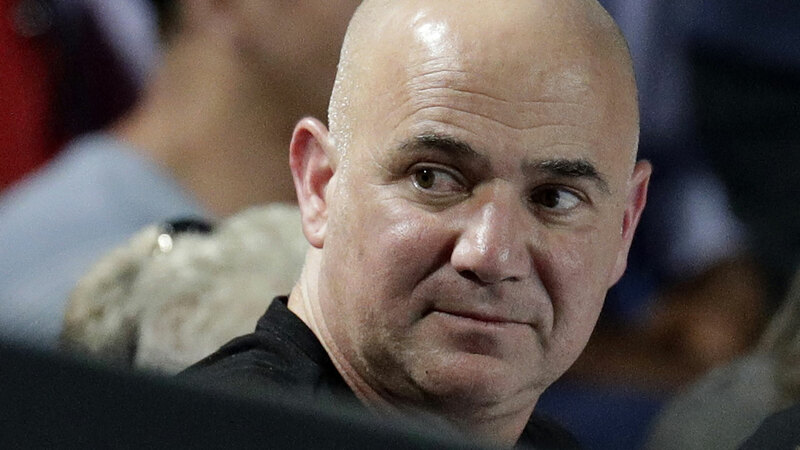 "When I get asked what's wrong with tennis, I say 'I'll tell you what's wrong - Federer, Nadal and Djokovic - that's what's wrong,' Agassi said. "They haven't left much for anybody else. "But it tends to go in waves. "We've seen it in many generations - Australians; they come along with a strong wave of tennis. "Americans the same, Swedes the same, the Spanish the same. "So I think you guys have a bright future, those young lads who are doing you proud."